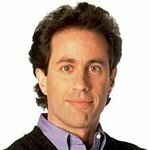 The Stand Up For A Cure 2013 Concert Series has announced that comedy icon Jerry Seinfeld will perform the first show of the new season with a performance at The Theater at Madison Square Garden on April 17th with special guest Colin Quinn. The show is collaborating with the American Diabetes Association to benefit research for children and youth with diabetes. A limited number of tickets for this highly anticipated event went on sale through Ticketmaster on December 20th at 10AM EST. A passcode is required to purchase tickets for this exclusive event. For more information about supporting this event or purchasing tickets, please visit www.sufac.org or call 1-800-706-CURE. This concert marks Jerry Seinfeld ’s third time performing as part of the Stand Up for a Cure Concert Series which has included other high-profile performers including Bon Jovi, The Dave Matthews Band, Brian Wilson and Barry Manilow. In addition, celebrity hosts have included Julia Roberts (9/10/08 at Madison Square Garden) and Alec Baldwin (6/2/08 at Wamu Theater). The concert will feature a top shelf VIP pre-party hosted by actress, model and Miss Universe, Dayana Mendoza – most recently seen as a contestant on NBC’s the Celebrity Apprentice. In addition, a limited number of Meet and Greet experiences will be available for purchase on Ticketmaster with a passcode. The concert series has been known to attract an A-list audience of celebrities including Lindsay Lohan, Ashley Olsen, Antonio “LA” Reid, Woody Harrelson amongst many others. The 2013 Stand Up for a Cure Concert Series is produced by Live Production Group who produce events to raise funds and awareness for various medical and social causes.